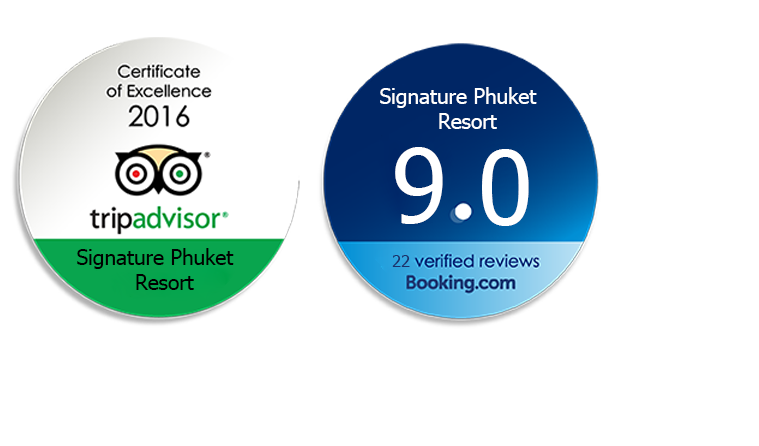 Accommoddation:Signature Phuket Resort & Restaurant, Soi Ta-Eiad, Chalong, Phuket, Thailand. 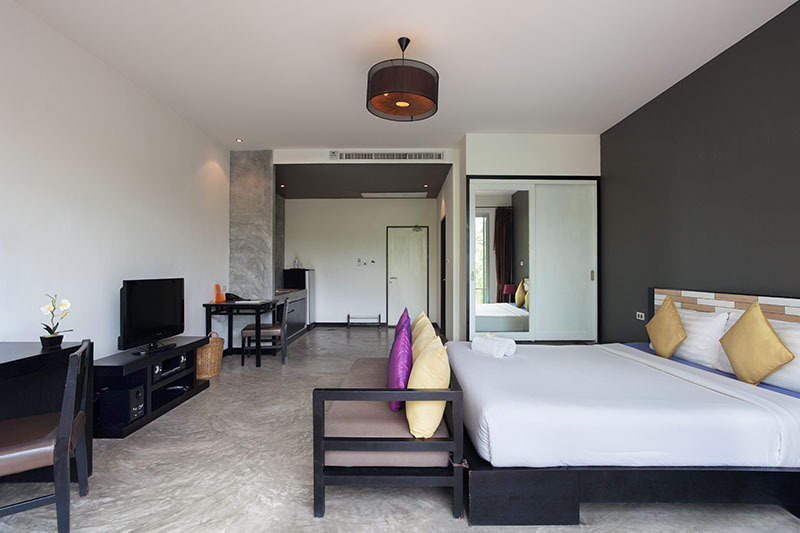 There are 26 contemporary design rooms at the resort that stand out for their spaciousness, facilities and style. 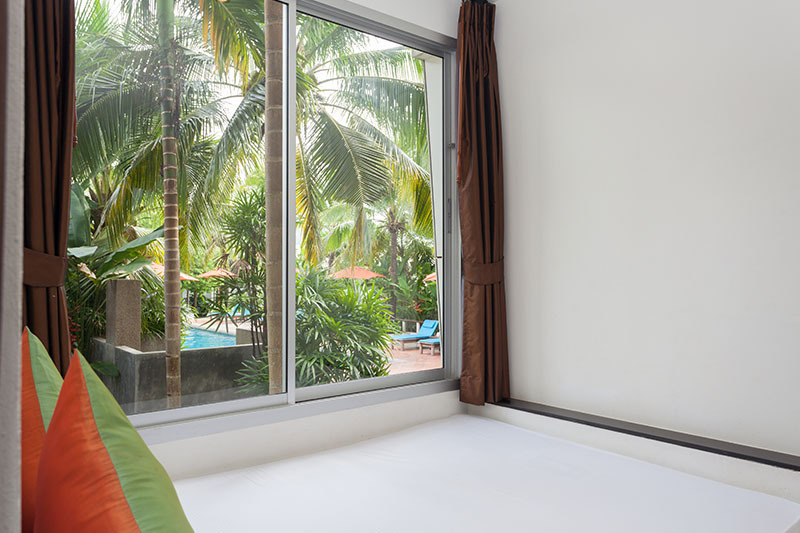 The three room types all overlook the swimming pool and are designed to suit your individual travel style whether you prefer a separate bedroom or studio style layout. The wide range of facilities add luxury to your stay providing extra comfort for long stay guests that enjoy a home away from home. 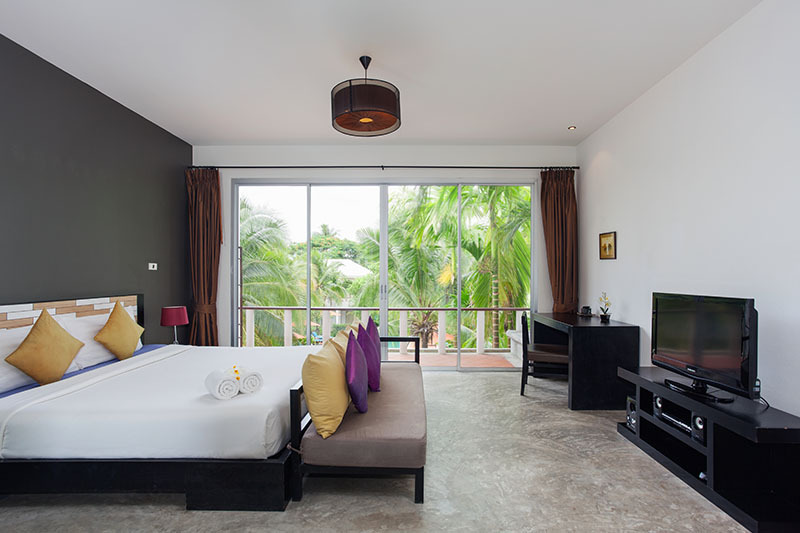 The villa Style rooms have the ambiance of a luxury villa. 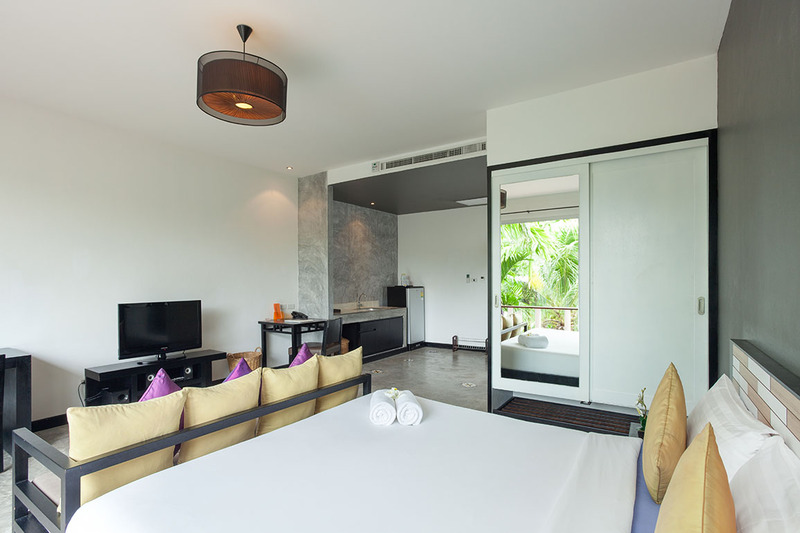 Some rooms are situated along the length of the swimming pool just steps away from the poolside loungers. Some rooms have the grand entrance through a Balinese style wooden door provides extra privacy and style to the chic. 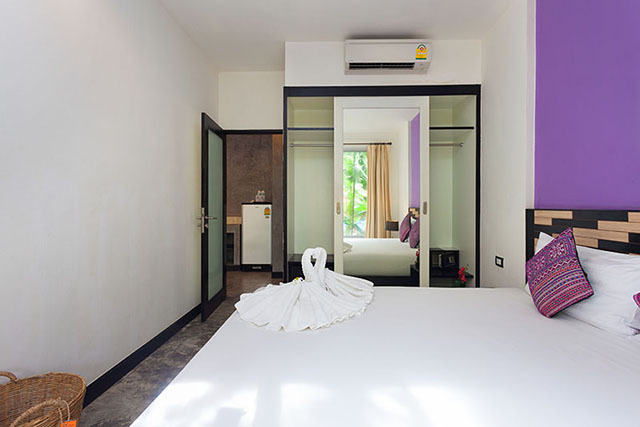 The 50 sqm interiors feature a separate bedroom and living room, both air-conditioned for comfort, and there is a spacious terrace surrounded by exotic foliage overlooking the pool. 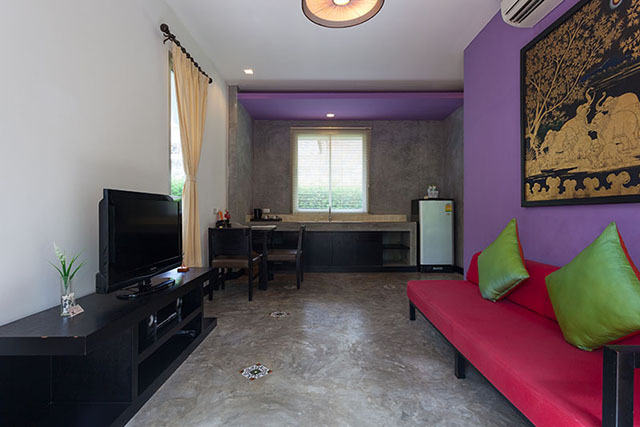 The room has a lounge area with comfy sofa and Cable TV, a dining table for two, plus a small pantry with a sink, large refrigerator and kettle for preparing light snacks and refreshments. 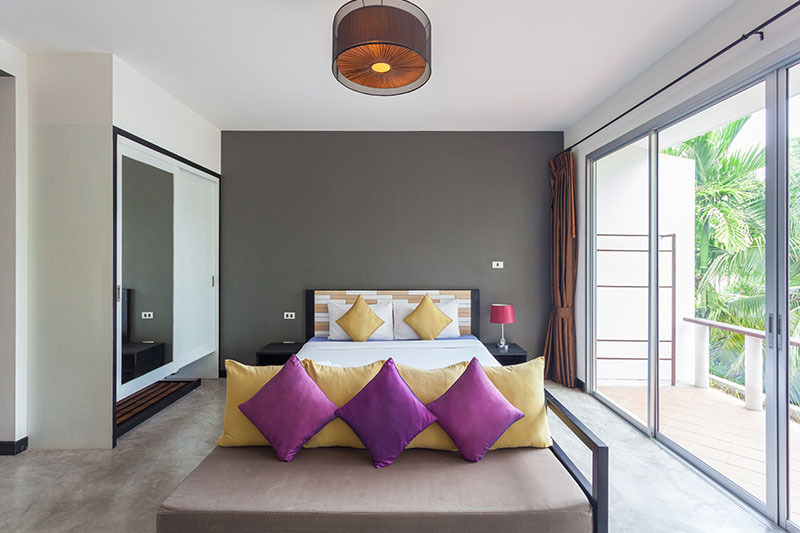 These spacious rooms are ideal for couples and long stay guests that enjoy a home away from home stay or small groups that prefer added privacy. 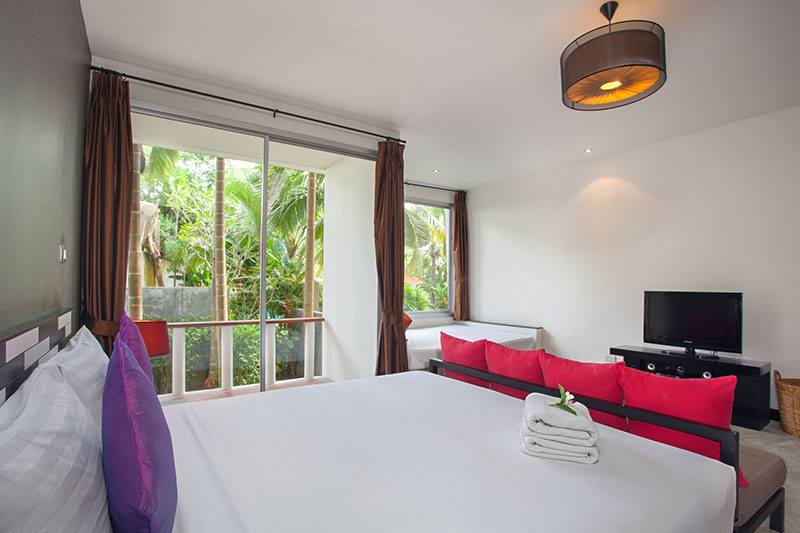 This spacious 50 sqm upper floor room has a full width window overlooking the pool and gardens bringing plenty of natural light into the room. 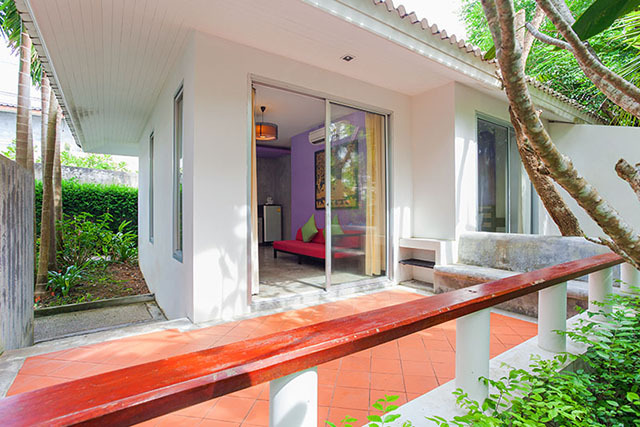 The sliding doors provide access to the large balcony where guests can sit and enjoy the tropical ambiance. 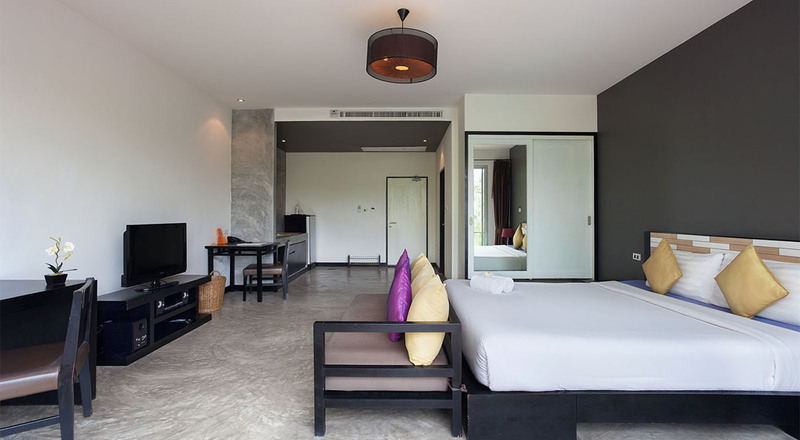 The trendy earth tones and brushed concrete floors add a designer touch to the room which features a king-size bed, sofa, desk and small dining/coffee table. 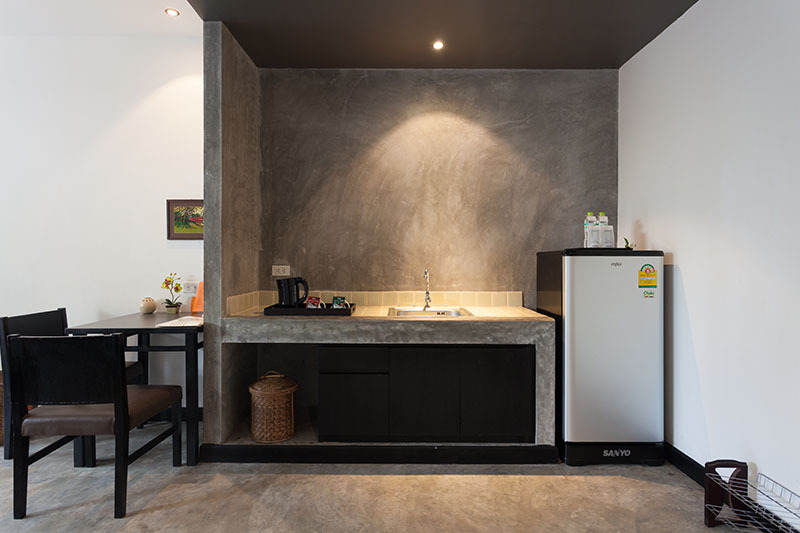 The pantry has a large refrigerator and a kettle for preparing hot tea and coffee. 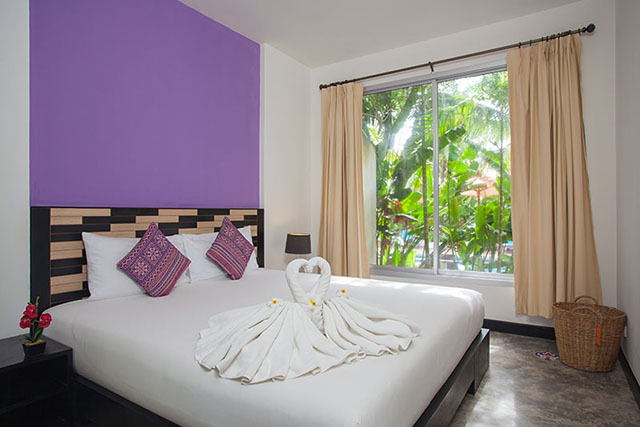 This studio style room has everything guests need in an open plan setting including a flat screen TV with international channels and a DVD player. 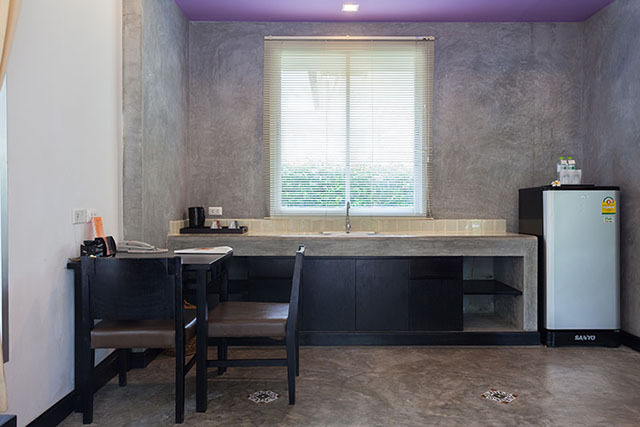 The modern bathroom includes a rain shower, wash basin, bath products and separate toilet. 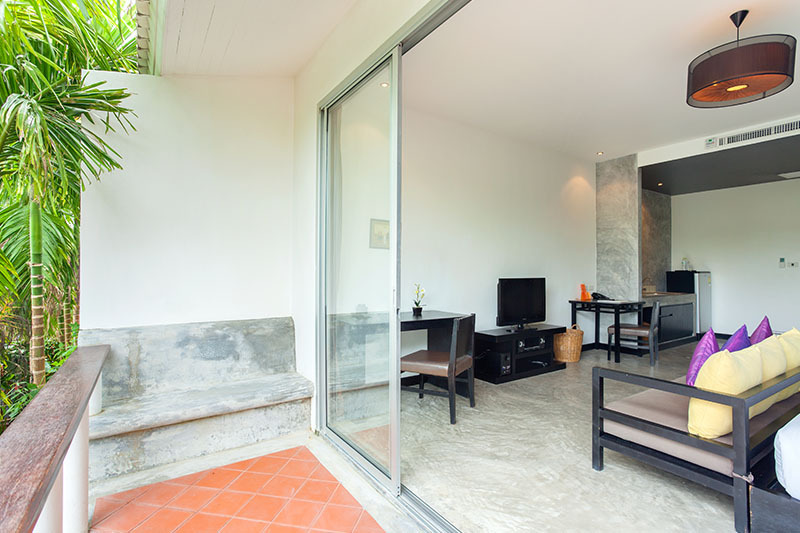 These four well appointed ground floor rooms are 50 sqm in size and feature a spacious private terrace with a scenic pool or garden view. 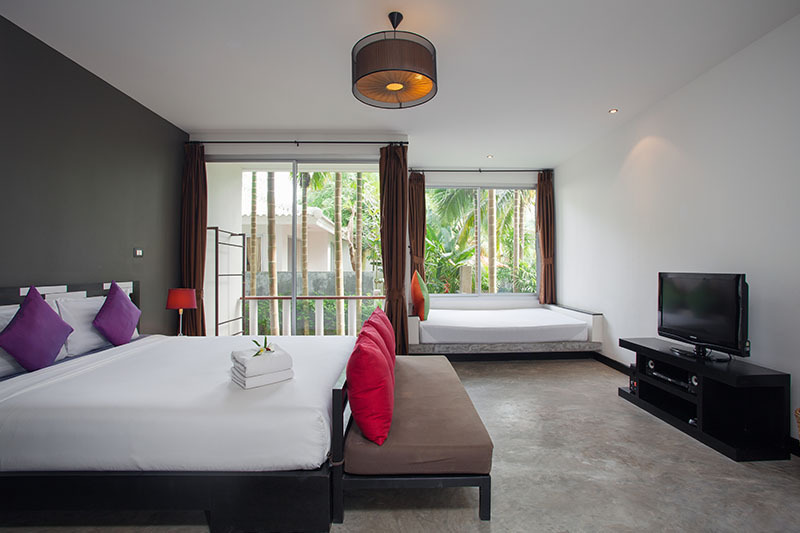 The Eucalyptus Style Downstairs room has a studio style layout with a king-size bed and an additional window daybed for relaxation that can be converted to a queen-size extra bed. 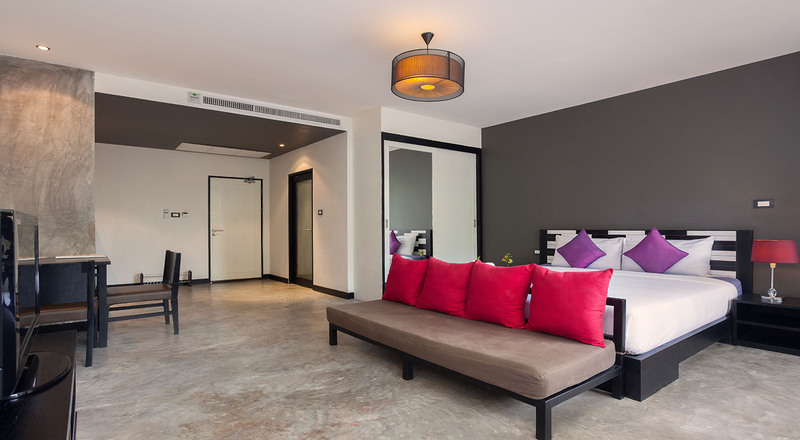 Lounge on the comfy sofa and browse the international television channels and work at the desk with a personal computer connected to Wi-Fi Internet. Prepare light snacks and hot drinks at the small pantry and enjoy a refreshing rain shower in the en-suite bathroom. 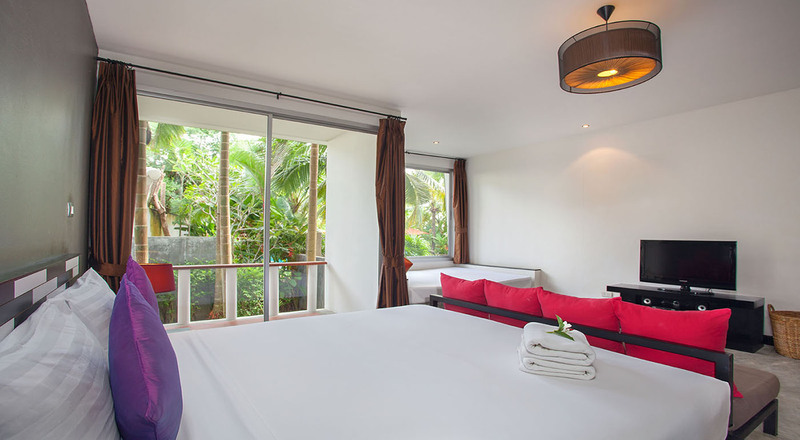 These air-conditioned rooms are situated close to the lobby and restaurant for added convenience.